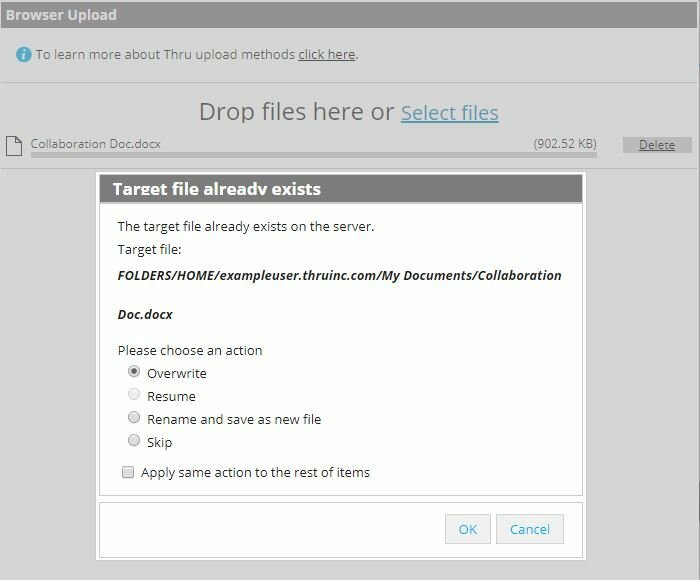 Upload a file to a folder and choose to “overwrite” an existing file that has the same file extension. *To have the option to overwrite the file, the name of the file being uploaded must be identical to the file you want to create versions for. After selecting overwrite, click OK.
After files have been overwritten multiple times, the version history can be viewed from the Versions tab. From here you can restore versions, view the transaction history of each version and download a copy of any versions for reference.